Did your leafy greens recently sprout some flowers? I was so proud of my miniature garden. The herbs in my flower boxes were doing great, as were my potted tomato and jalapeño plants. After two years of failing to keep anything in my apartment alive, I had decided this summer would be different. So, I dug into researching each plant and invested in all the right soils and fertilizers. But after a couple successful months, my cilantro started doing something strange. Suddenly it shot straight up and developed little white flowers. Though they were pretty, the cilantro leaves just didn't look right anymore. A quick Google search informed me that my herb was bolting, or rapidly flowering to set seed. "This is done when plants feel threatened by increased temperature, lack of nutrients, or changes in day length, and go into reproduction mode before death," Jennifer Segale, owner of California-based landscape design business Wildflower Farms, and organic tea and skincare company Garden Apothecary, tells CountryLiving.com. "It's a chemical process induced by hormones, but I like to liken it to 'last call' at your favorite bar on Saturday night!" "Bolting is a chemical process induced by hormones, but I like to liken it to 'last call' at your favorite bar on Saturday night!" Any plant can bolt, but leafy herbs and veggies like cilantro, arugula, lettuce, Brussels sprouts, and spinach are especially susceptible. It's hard not to take it personally when our plants don't survive, so of course my mind went straight to wondering: What did I do wrong? "There is no way to effectively prevent the bolting process, no matter what you read from gimmicky companies," Segale says. "However you can be mindful of the type of plant you are growing, and where it likes to live. 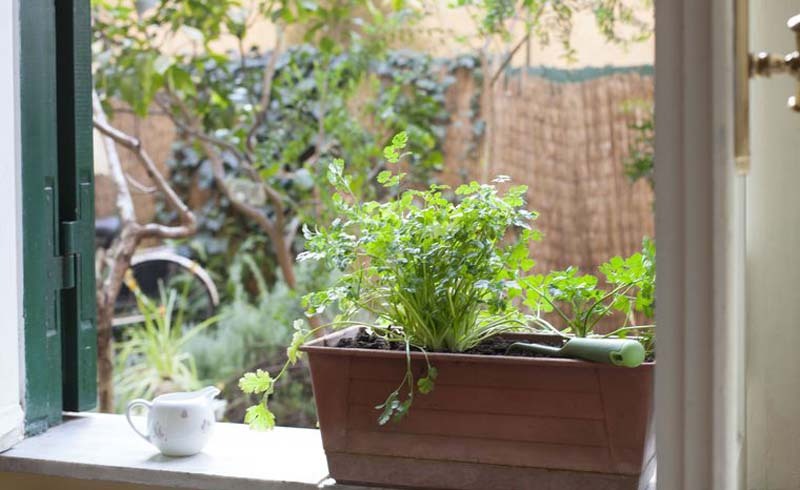 For example, if you live in a hot, sunnier location, I suggest planting your cilantro in a part shade and making sure it is planted in healthy, mineral-rich potting soil, with regular watering." It's best to plant bolt-prone plants in the early spring (after the last frost date) or late summer (just before fall). You can even buy slow-bolt varieties, which produce leaves for a longer period of time. Once a plant begins to bolt, there's not much you can do. Cutting off the flowers won't do any good, so it's better to just let them go to seed. Bolted greens are still totally edible (and even healthy for you, Segale says—throw a leaf in your tea! ), but they will have a more bitter taste. One bright side of my bolting cilantro? 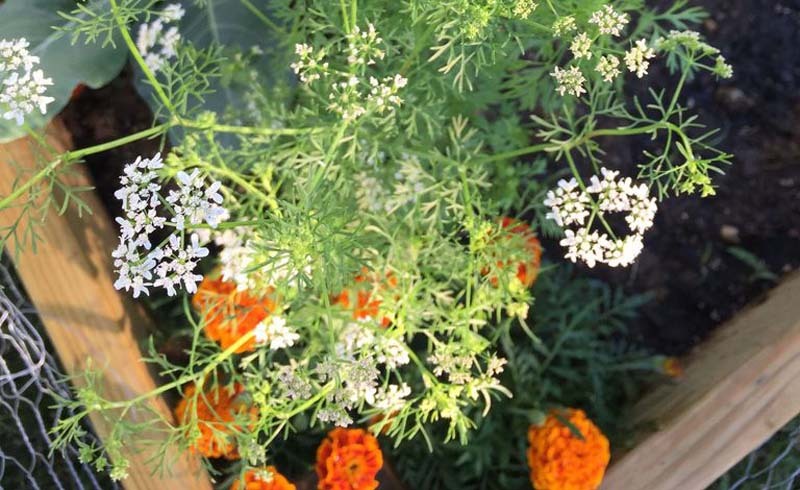 Following the flowers, little green seeds appeared—also known as coriander. When they go brown, I plan to harvest them, both to replant and to grind for use in recipes this fall.